My Little Pony: Friendship is Magic: Season 7 + The Big Damn Movie! Princess Spike scored a low 0.20 and just 260,000 viewers. I wasn't grabbed by the teaser and the actual episode disappointed so I'm not too surprised. Fun little episode centered mostly around Pinkie Pie and how hard she works to achieve her parties (including detailed lists for catering to specific likes of party's central subject). Some amusing gags including riffs on The Beatles and each main 6 character got some decent scene time. Also nice to see Twilight and Pinkie both stressed out. Didn't much care for the Yaks but they served their purpose. Big jump for Party Pooped with a 0.22 and 369,000 viewers. Another pretty blah episode about Twilight going back to Canterlot and basically apologizing to her older friends for her abrupt disappearance and treatment of them. Only one of them is really surly and confrontational due to Twilight's missing a special party set up by said 'old friend' when they were all younger leading to said friend swearing off friendship forever or some such. Shame since last week's Pinkie Pie-centric episode was more fun and more interesting to watch. 5x12 Amending Fences scored a 0.17 and 289,000 viewers. So here's an early breakdown for roughly the 1st half of Season 5... US #s only. 5x13 Do Princesses Dream of Magic Sheep? Fun nightmare based episode with Princess Luna's guilt creating a 'being' after giving herself the same nightmare to punish herself over what she did as Nightmare Moon. Simple message about being able to forgive yourself rather than constantly punishing. Clear that the animators were having a lot of fun turning things into creatures and having fun altering characters thanks to 'dream' abilities. My Little Pony comes back on September 12th and unofficially kicks off Rarity is Best Pony Month! 9/12: 5x14 Canterlot Boutique Rarity's dream of owning a boutique in Canterlot coming true but at a price she may not be willing to pay. 9/19: 5x15 Rarity Investigates Rarity must prove that Rainbow Dash is innocent when accused of a crime she did not commit. 9/26: 5x16 Made in Manehattan Rarity and Applejack team up to help Coco Pommell with a major project in her neighborhood in Manehattan but soon find out they may have bitten off more than they can chew. Solid enough episode although I wasn't too enamored with Sassy Saddles as her assistant for the new boutique (and Sassy's overtaking everything worked well for the most part) but just seeing Rarity expand her business was a nice touch and keeping it open adds some 'growth' to her character as a true business pony. Also enjoyed the song although the one from Suited For Success was stronger. 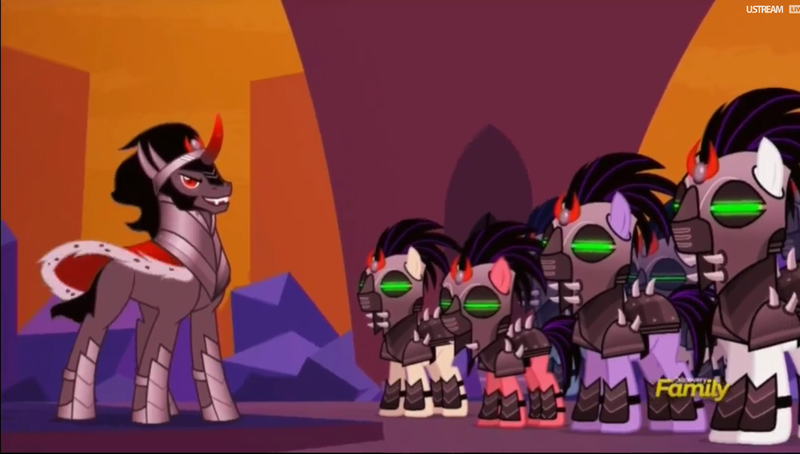 Bonus points for the "Goth" Pony voiced by Andrea Libman causing me brief flashbacks to Tara Strong voicing it as Raven from Teen Titans. Already being named either Crescent Heart or Moonlight Raven too because fandom. Canterlot Boutique scored a 0.13 with an impressive 430,000 viewers. Fun Fact: Miami (Ohio) vs. Wisconsin scored a 0.16 and 444,000 viewers for comparison's sake. Good news coming as Season 6 is confirmed with an impressive 26 episodes slated. I loved this episode! Rarity + Noir = Fabulous! Lots of cute little touches including Rarity's voice overs in classic black/white Noir intermingling with "real time" colorization when it pushed back to the reality of the moment. 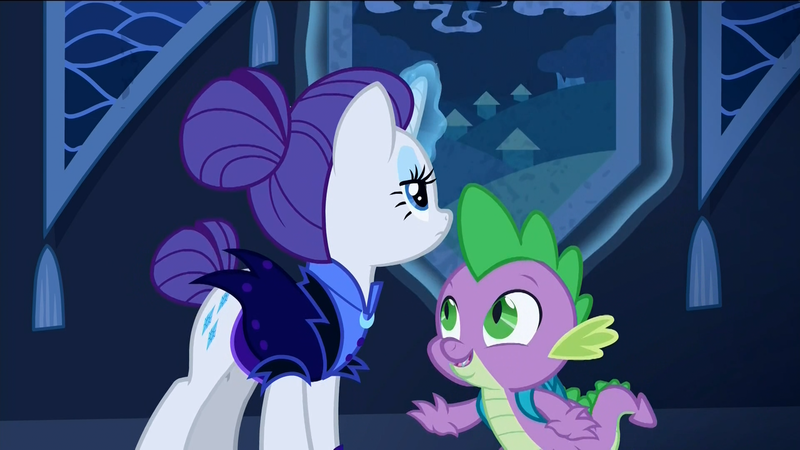 Also really nice to see a friendship episode centered around the very rare (heh) Rarity/Rainbow Dash relationship and Rarity's getting to also model her fashion line while sleuthing out who tried to frame Dash to keep her out of the Wonderbolts performance. Also great pacing to the story and direction of the episode too. Kudos to the use of jazz music for the score along with utilization of it in the end credits and Jan Rabson does a solid job as the "living legend" in Wonderbolts history with the character of Wind Rider invoking a bit of an Adam West as Gray Ghost vibe for me. Bonus Fun Fact? He was the voice of Wall-E! The whodunnit result was somewhat obvious but still fun to see the lead up to it anyway. Also Peter New was the voice of one of the castle guards who is normally the voice of Big Mac. Rarity Investigates scored a 0.08 and 307,000 viewers. Fun episode with a great message that just doing a little thing can make a big impact. Coco Pommel being back was fun as was running her own neighborhood stage performance show. Rarity was a blast to watch, freaking out over customers making awful fashion choices and being all proud of trying to find the task that needed to be performed while Applejack was fun being a country pony stuck in the big city. A lot of credit to DHX Media who continue to go above and beyond with their graphic work and abilities including some fantastic shots of beads of sweat trickling down Rarity's face when confronted by an angry street salespony and her body contortions when overacting or reacting to situations. Also facial expressions continue to be improved and altered including cute expressions for Coco and Applejack. Made In Manehattan scored a 0.09 and 337,000 viewers. Kind of a disappointing episode with Big Mac dressing up as a Southern Belle to help Applebloom in the Sisterhood Social events when Applejack gets called away (for the Made in Manehattan episode). Pretty obvious stuff all the way through although it was nice having Sweetie Belle and Scootaloo seeing right away that it's Big Mac. 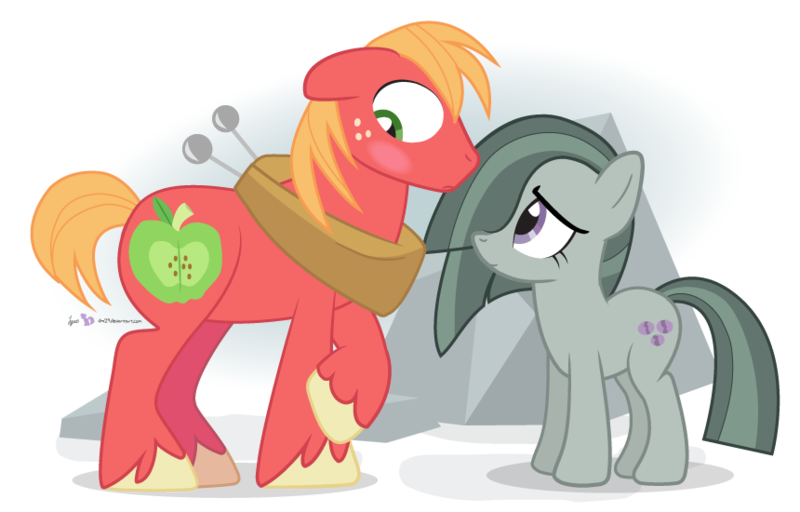 Big Mac wanting to be a "hero" in Applebloom's eyes again like he was when she was younger is a decent foundation but the episode didn't work at all for me. Too many cliche stock moments from the "man dresses as woman, botches stuff, eventually gets exposed and found out publicly" concept. Brotherhooves Social scored a 0.08 and 314,000 viewers. This episode was really about two things: The CMC getting to turn Diamond Tiara face and getting their own cutie marks which worked for me in that they all got similar cutie marks to keep the trio a team. The main plot of the student pony president was what it was but getting to see Diamond Tiara stand up to her mother (and the unfortunate racism/classism parallels that came with it) was great stuff and it was nice to see Diamond Tiara actually change mostly on her own by seeing the error of her ways. Also neat to see the pressures of having to be perfect and living up to the expectations of your parents and what they've taught you played with from Tiara's perspective. Not sure how I feel about the CMC no longer having any real antagonists to play off of though coupled with the fact they finally have their cutie marks so some of the reasoning behind their future plots have been taken away but the "act" of finally turning their biggest nemesis into a good pony makes the obtaining of their cutie marks worth the payoff. Crusaders of the Lost Mark scored a 0.13 and 299,000 viewers. Animators managed to get their Ren & Stimpy on with Pinkie's animation scenes. Some decent stuff with Pinkie struggling to keep a big surprise secret to herself around her friends (Princess Cadance and Shining Armor having a baby) but managing to pull it off despite the sheer struggle of it all. 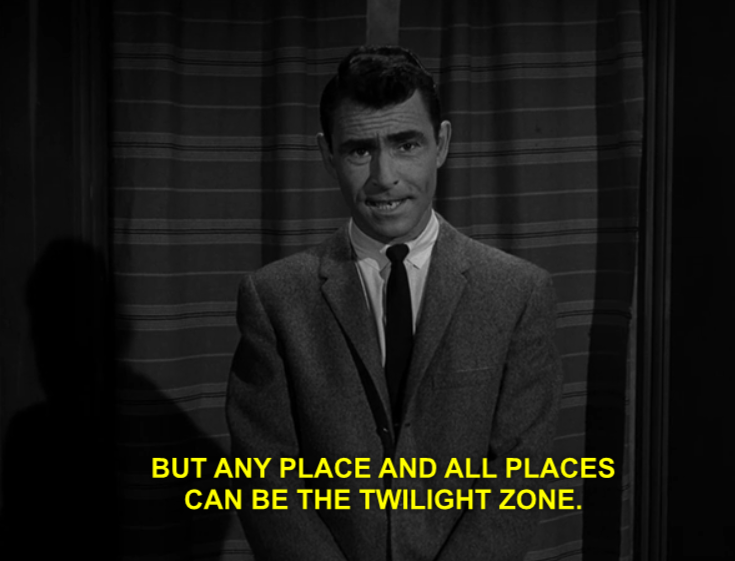 Not really a memorable episode though in the long run, probably won't watch this one again. Felt like the concept/struggle could have been used for a better character moral at the end then just a "joke" about it being a piece of cake for Pinkie to handle after being given a slice of cake. Apple Family meets Pinkie's family who are straight out of Puritan style times(!) Limestone Pie's a total jerkass while Marble Pie is adorable in her Fluttershy-ness. So Puritan/Traditional that the sisters sleep in the same bed and the parents sleep in separate beds. Fun seeing Applejack have to deal with celebrating Hearth's Warming and try to force her traditions onto the Pies while Pinkie Pie's forced to decide between her family's traditions and being friends with the Apples and including their traditions/them into Pinkie's family. Also a solid lesson at the end with Applejack deciding she should've respected their traditions and learned them before sharing the Apples' rather than trying to have it all be the same immediately. The One Where Pinkie Knows scored 328,000 viewers and Hearthbreakers scored 382,000 viewers. Another fun Halloween based episode. Liked that Fluttershy enjoyed being "part" of Nightmare Night by setting up a scary addition to Apple Family's creepy maze but didn't enjoy seeing her friends so terrified and that she was fine doing her own special thing (basically doing a tent night whilst reading under her bed with her animal friends) since she did a lot of other fun stuff with the main 6 during other times. Also props for the revisiting of Vampire Bat Fluttershy at the end and seeing the various background characters dressed up including Big Mac as a mummy and the CMC in different costumes. And Rainbow Dash as an astronaut was great while Pinkie was a roller skating zombie waitress thing and continues to remind me of Harley Quinn more and more after seeing the connection. Pretty forgettable episode although some of the Discord visual gags were solid. Twilight can't accept she got jealous of her friends hanging with Discord and having fun while she missed out on it all. Skippable. Decent episode and fun seeing Fluttershy and Twilight team up as they very rarely get any episodes together or even scenes for that matter. 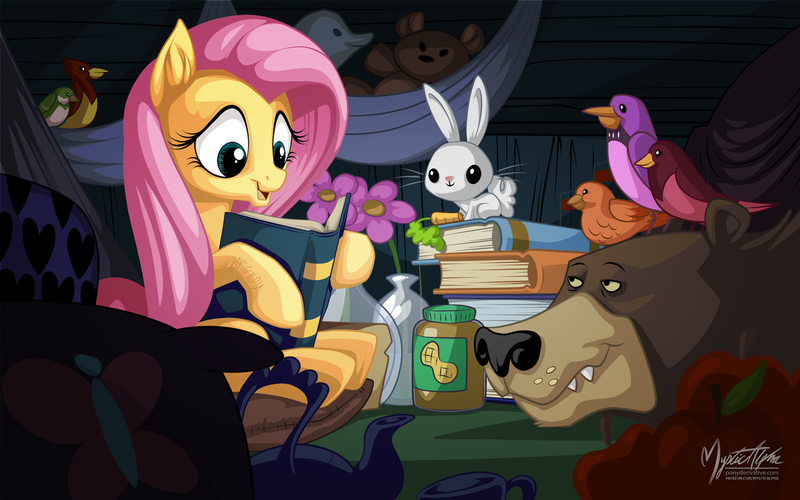 A little disappointed at the lack of depth in the feud given the history/basis of its real life counterpart but Fluttershy was cute and Twilight got to be all book worm knowledge pony. Countess Coloratura, a childhood friend of Applejack's, comes to Equestria for a music charity event but also comes with her manager who's conniving and it's up to Applejack to prove to Coloratura (aka Rara) that her manager is a conniving scumbag making insane demands to poor Pinkie Pie. Good little episode with the rare focal point on an 'outside' pony but warranted in this case with Countess Coloratura being voiced by Lena Hall (All My Children, The Big Gay Musical) whom also performs "The Magic Inside," a fun song performance to cap the episode off. Colin Murdoch (Beast Wars: Transformers and InuYasha) voiced Svengallop, the haughty jerk demanding manager of Coloratura. The 2 part Season Finale Cutie Re-Mark 1 & 2 is airing at 11:00 AM ET/8:00 AM PT with Part 1 and Part 2 at 11:30 AM ET/8:30 AM PT as a head's up to anybody else watching. Also kind of odd as the production order has it as 5x21 and 5x20 for Part 2 when it's usually the reverse. Fun, strong episodes to close out the season with Starlight Glimmer trying to show Twilight what it's like to never have any friends after her brother got a cutie mark and left her alone so she was too afraid of making friends for fear of a repeat. The animators had a lot of fun with taking the normal cast of ponies and throwing them into various alternate universes including: Army with King Sombra, Queen Chrysalis warring with Zecora and her Pony refugees, Nightmare Moon taking over Equestria and banishing Princess Celestia, and one with Flim and Flam running a tree cutting operation devastating Equestria and its forests. Also props to the many callbacks to various episodes too with some ponies including Rarity and Maud Pie. The final scenes fit with Starlight being redeemed and shown she can make friends/the importance of friendship (including going back to the town she had fled in the opener) and its effect on the world beyond just Twilight's own friendship. Worked as an overall message for the show itself and the viewership watching too. Looked at the Amazon only "A Pony Kind of Christmas" album. 4 great tracks and a handful of other solid ones make this a pretty worthwhile purchase. Apparently Font Brothers America is suing Hasbro over their use of the font for this generation of My Little Pony alleging the infringed use of their "Generation B" font. 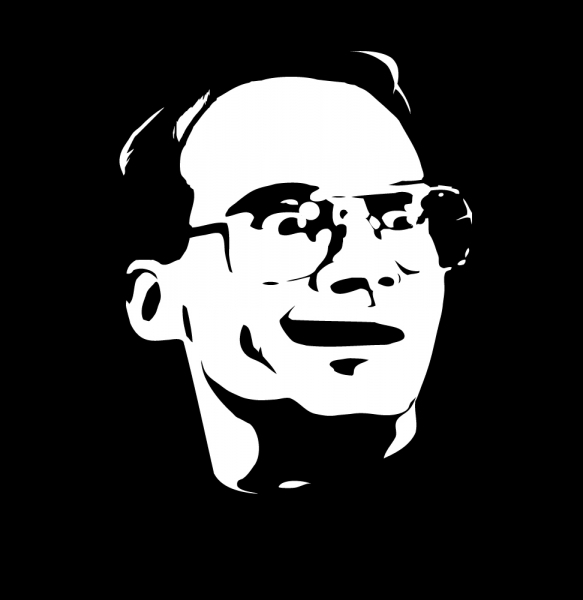 Font Brothers America is also asking that Hasbro destroy all physical material that utilizes said font. An interesting case to see what the result is. New promo video confirms the return of PONY on March 26th with a 2 Part Premiere, whoo! Because I can. Love you too, doll. It's partly to look back at my posts/thoughts in future years and partly because it's my posting style. See any of my NFL Threads or my random "bumping" of threads such as Girl Meets World or Deadliest Catch. I don't care if anybody else reads the threads but the point of posting is to post anyway. I appreciate the bump because this is my daughter's go-to show right now. Although I don't know if I really want another 26 episodes of this show unless they all have Discord in them. John de Lancie is gold in that role. This is probably my only MLP post ever. Reminder that the Season 6 2 Part Premiere is tomorrow at 11:00 AM ET and 11:30 AM ET. Sounds like the first 2 parter, The Crystalling, will introduce the new baby from Cadance/Shining Armor and some drama aftermath around their city. It served its purpose in introducing the baby Alicorn character and getting the characters into the Crystal Empire for the drama of trying to save the place from a potential wrecking snowstorm. Highlight was Starlight Glimmer's character, whom still had some snotty aspects to her character, which was nice to see and her reuniting with Sunburst. I warmed up to her more after re-watching last year's season finale yesterday and I appreciated her subplot in this episode. I also liked her staying on as a student/apprentice of Twilight's which adds to Starlight's redemption arc in general and bodes well to her character development down the road. Also the animation has definitely been improved from running tears to little facial expressions to more characterization through body language. Gold star to DHX and great to see their improvement since S1 and S2. They do a lot of quick things that are almost easy to miss that simply add depth such as the example below. 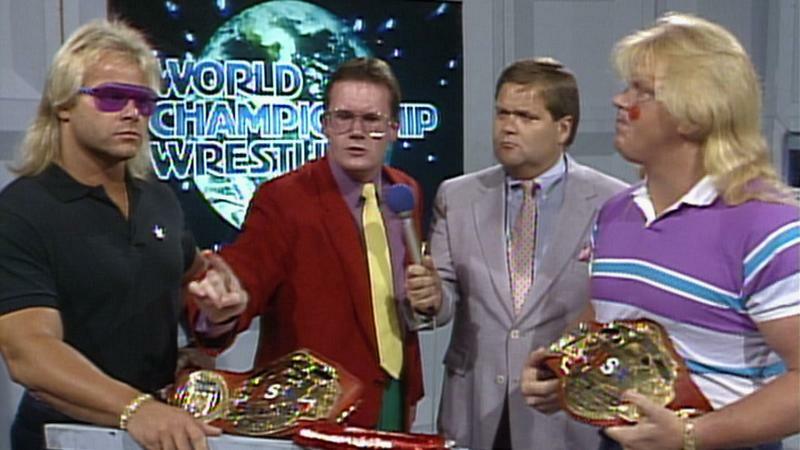 Decent slice of life episode. Enjoyed Maud Pie's return to the show and yet another trip to Manehattan with Rarity and Pinkie Pie serving as an entertaining team up. I really love seeing Pinkie Pie's sweet adoration of Maud and this episode was chock full of it including her panic over not being able to get the perfect gift to her subdued happiness at giving up her party cannon to acquire the pouch off a random stallion. Nice to see some development as Rarity is furthering her career into Manehattan now. Highlights though were Pinkie and Maud as it's a nice change of pace to see their close sisterly relationship in contrast to Pinkie's over the top zaniness with Maud serving as her ideal straight mare in the face of it all. 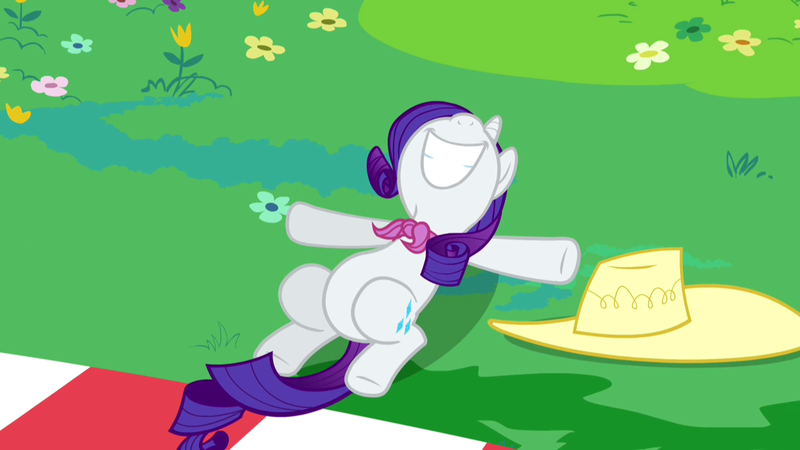 I did laugh at Rarity's emulation of Pinkie's usual antics though. Decent little episode centering around the CMC trying to figure out what they want to do as individuals (now that they've earned their cutie marks) while Apple Bloom feels left out because she's interpreted Scootaloo/Sweetie Belle doing their own interests as never doing anything together again. Ended with a nice finish as the trio agree that it's fun to do their own things at time so long as they keep the core of their friendship strong and remain together for bigger stuff. With that said, it's fun seeing them starting to find their own identities: Scootaloo is basically Vin Diesel in XTREME mode with scootering and bungee jumping, Sweetie Belle seems to be following her big sister, Rarity, with singing and then crocheting, and Apple Bloom has become a potion making pony with an interest/enjoyment in dancing. Fun little episode featuring Trixie taking on Starlight Glimmer as her assistant for her big magic show, uniting the two in friendship while both are still struggling with redeeming themselves from their past deeds. Twilight being reluctant to let Starlight make her own friend simply because it was Trixie made sense and the Starlight/Trixie friendship worked well and felt natural within the story too. DHX Studios continues to up their game with the facial expressions and it's fun seeing what they come up with episode to episode and season to season. Kathleen Barr was fantastic as Trixie especially towards the end of the episode when she remarks that she "beat" Twilight at befriending Starlight only to have Starlight run off despite Trixie's pure intention of being best friends. Then her flat opening to the introduction of the magic show after was good stuff. Pretty much the summation of the episode. A ton of fun from the opening song to the whole Christmas tinged calls (the opening song was very Who-ville at times, Snowdash as a reference to the Ebenezer Scrooge side character, etc.). Loved the take on the 3 Ghosts of Christmas' Past, Present, and Future occurring only because Snowfall cast a spell to get rid of Hearth's Warming Eve in Twilight's story. Pinkie was also a perfect fit as the Ghost of Christmas Present(s). So many great little songs and performances. Great episode and probably my favorite of the season but I'm a sucker for Christmas themed stuff. Also PRINCESS LUNA SINGS! Enjoyable little ep which was fun seeing the inclusion of the main group helping Rarity with her first night opening her new boutique in Manehattan. Also props to the writers for letting each character handle their own roles while teasing some stressed, crazy Rarity. Fun seeing Pinkie Pie dealing with the dance party upstairs including Angel/Devil variants of Rarity and Dash decided to hire based on a speed race. And the writers have more fun named the newspaper article writer Buried Lede. Decent episode centered around the necessity for having people around you to give you an outsider's perspective on something you may not see about yourself. Fun seeing Applejack's workaholic nature solve the Spa pipe issues as well as Twilight's desire to follow the list to the letter while coming to the realization that Applejack's taking a lot of unnecessary steps without realizing it because she's gotten used to do it just so. Fun episode with Rarity/Pinkie Pie providing a unique team up to help a Father/Daughter make their restaurant into a sensation via the tastiness of their food vs. the hoity toity ideals of the most idolized food critic. Loved seeing Rarity and especially Pinkie getting pissed at Zesty and her opinion/bemoaning of the Tasty Treat due to its lack of decor and taste that even lowly normal ponies can taste. Fiona Hogan was fun as Zesty Gourmand, the food critic. Fun little episode with the CMC wanting their own Kart ideas for the Kart Derby (including changing who'd win Most Creative, Fastest, and Traditional) but get overridden by Applejack, Rarity, and Rainbow Dash respectively in a take on the "parents take over for their kids" sports aspect. I did like that we didn't see who won those awards at the end of the race though so it further put emphasis on what was done vs. the end result. Also the song Derby Racers was catchy as all hell and a real highlight. Episode was what it was with Rainbow Dash playing pranks on others without realizing their feelings/enjoyment suddenly being turned back on her when the town turn into "zombies" after Dash changes out the classic cookies being delivered around to her own concoction that would paint their tongues rainbow colors. Writers Chris Wyatt and Kevin Burke will be helping write episode 17. Both have written episodes of Ultimate Spider-Man, Teenage Mutant Ninja Turtles, and Avengers Assemble. Fun nod to the classic D&D type of fan/game (in this case: Ogres and Oubliettes) with the girls taking off leaving Discord to hang out with Spike and Big Mac. Also Fluttershy won Best Face like 4x over just in the opening teaser. Bonus to her being all deceptive and snarky at Discord too (see the gif). I really love their interplay together, very fun and natural stuff. Discord sending Spike/Big Mac into the actual game was obvious but enjoyable thanks to the great animation including "paper" trees and the villains on cards in cutout stands. Also great to see the sheer enthusiasm with Spike (especially) but even Big Mac through his facial expressions in the beginning when they were describing the game to Discord/started out playing it and at the end when the group was playing in the real world, just toned down some and even Discord was enjoying it. Good little episode with Applejack and Fluttershy trying to decide what the friendship problem is, with Applejack trying to find anybody else beyond the Flim/Flam bickering brothers arc that comes right out of the comic run. I enjoyed seeing Fluttershy listening to the animals while Applejack listened to the ponies and that from the animals it was revealed that Gladmane, the owner of the place, was stirring up the drama between the acts. Also bonus points to Gladmane (voiced by Jim Byrnes) adopting some of Elvis Presley's vocal mannerisms. Also props to DHX Media continuing to push the ante including outright sweat beads trickling down on Gladmane. Loved seeing Starlight's impressive growth with regards to magic yet her fears/nervousness involving interactions with others still making a re-appearance. It was also nice to see Starlight's fears of failure/perfectionism coming out at the end with Twilight. Also she apparently did not learn the Willow Effect of just a little magic to help always goes wrong and never works out as you expect. As somebody introverted and also with a mind towards doing things as quickly/efficiently as possible, the entire episode hit home for me through Starlight's character. 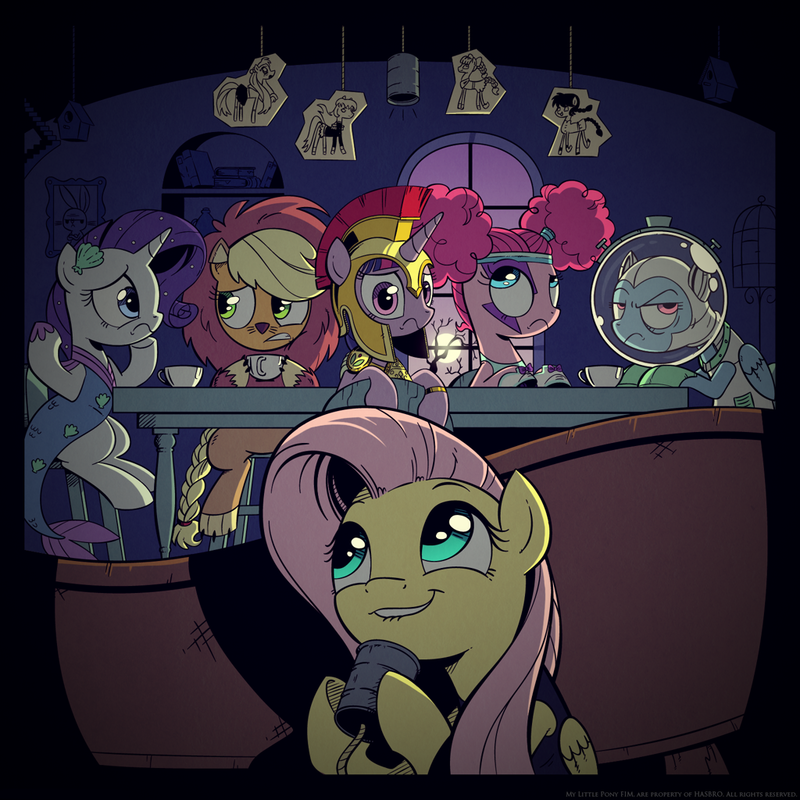 The wide open eyes and robotic/hypnotized voices of Rarity, Applejack, Pinkie Pie, Fluttershy, and Rainbow Dash were suitably creepy yet still in character enough to not be that terrifying. Fun and amazing how utterly fail Starlight did to Twilight's castle while trying to eschew her "friendship lesson" duties. Also lol'd at Applejack quoting various pop culture in relation to the stories going into her scrapbook.